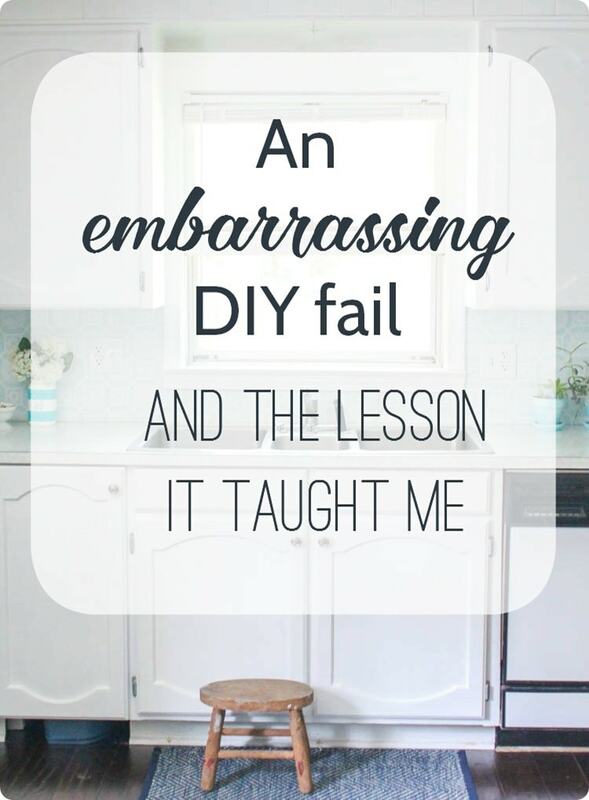 An embarrassing DIY fail and a life lesson - Lovely Etc. I don’t have any amazing before and after photos to share today, but I do have an embarrassing tale and the major life lesson I learned as a result. Because who doesn’t love a good embarrassing story, right? 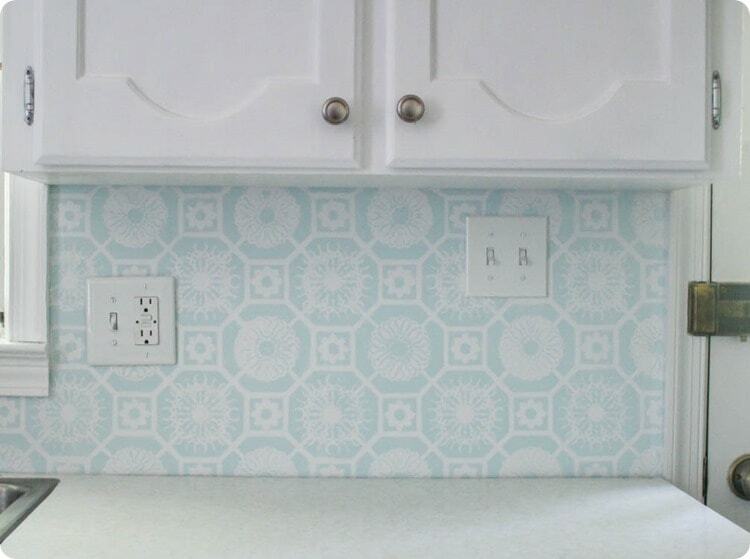 This story all begins with my painted kitchen backsplash. 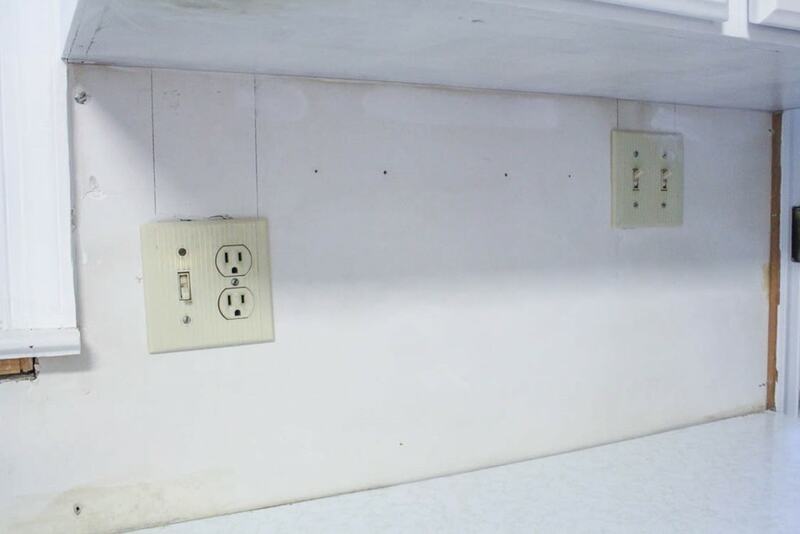 In addition to the old backsplash being incredibly dated and ugly, it was also sprinkled with light switches and outlets which were also incredibly dated and ugly. 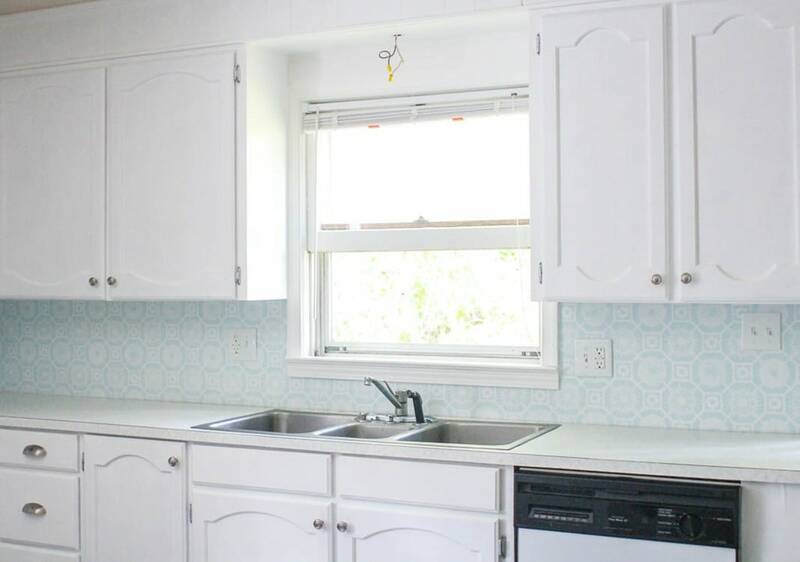 The yellowy beige outlets and switches weren’t attractive even with the old backsplash, but they looked doubly dingy and ugly with my new fresh, clean backsplash. They had to go. In the past, I’ve dealt with ugly beige outlets by simply painting the outlet or light switch white and then adding a new white cover. And this does work. Sort of. The major problem is the paint always gets scratched and flakes off. Especially in high-traffic areas like this. So instead of a nice, white outlet, I end up with an outlet covered in peeling paint with the old ugly color showing through. Definitely not the look I’m going for. 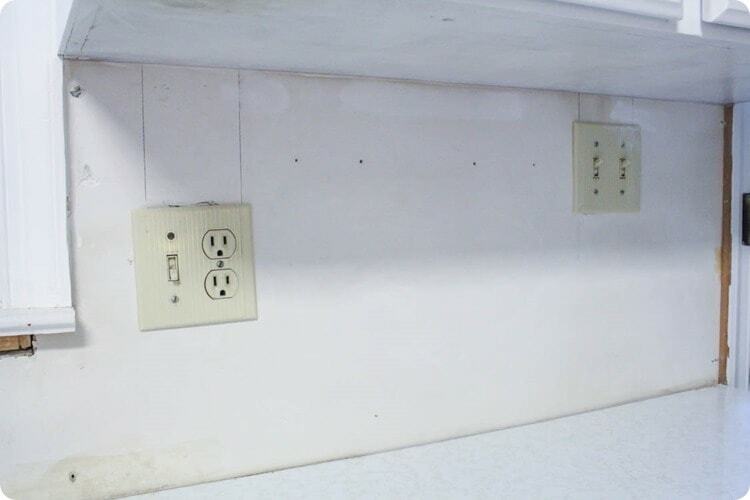 Plus our outlets really needed to be updated to GFCI outlets since they are located next to the sink. So I decided to replace the old uglies with fresh, new white outlets. Now, this is not something I had ever done before. But I have replaced plenty of light fixtures so I felt fairly confident in my abilities. I read a few good tutorials online, took a trip to the home improvement store for supplies, and got to work. So I got to work. I replaced the first set of light switches with no problems. And then everything went horribly wrong. I won’t bore you with the details of everything I did wrong. But in the end, none of the outlets worked and neither did the garbage disposal switch. But that isn’t all. Nope. All of the other outlets in the kitchen, the light over the bar, half the outlets in the family room, and a random closet light also no longer worked. It wasn’t just a failure, it was a massive failure. Not only did I not succeed in updating the outlets, I also screwed up a bunch of stuff that was working just fine before. I had to admit defeat and call an electrician. But here’s the thing. I was so embarrassed and ashamed of my massive failure, I refused to call the electrician we have always used and trusted. No, I didn’t want to admit to them how badly I screwed up. So I found some other guy. When they got there I explained the problem as best I could, still feeling incredibly embarrassed that I had to detail my failure so explicitly. And to be honest, the electrician was condescending about it. Maybe he didn’t mean to make me feel like an idiot, but that is certainly what happened. After he left, I honestly felt ashamed. I felt like I was stupid for even attempting to take this on myself when I clearly had no idea what I was doing. And I felt like my colossal failure with this project meant I wasn’t a real DIYer at all. But then I took a step back and looked at the situation a little differently. I had attempted something new, something I’d never done before. I did research and went for it and it didn’t go well. I wasn’t able to make it work, so I called in a professional and they took care of it. When I put it like that, it suddenly no longer made sense to be ashamed and embarrassed. I took a risk and it didn’t work out. There is absolutely nothing wrong with attempting something you’ve never done before. This entire kitchen remodel has been a huge risk for me. I’ve never painted countertops before. 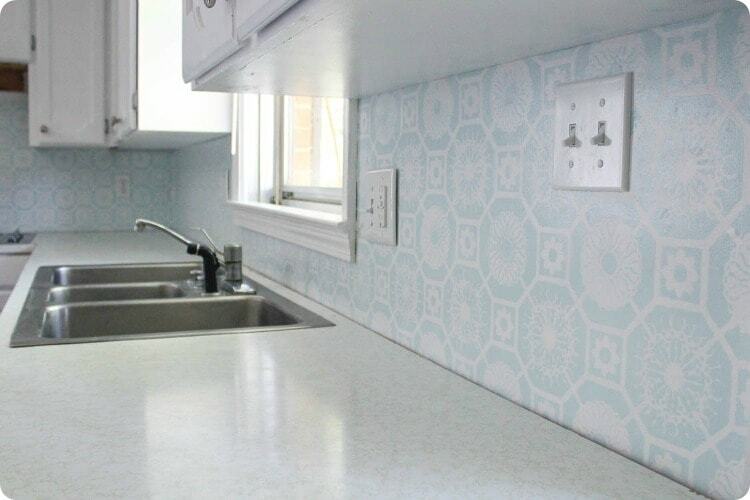 Or a backsplash. I’ve never replaced a single appliance and now I’m dealing with installing a new oven, stove, microwave, and dishwasher. 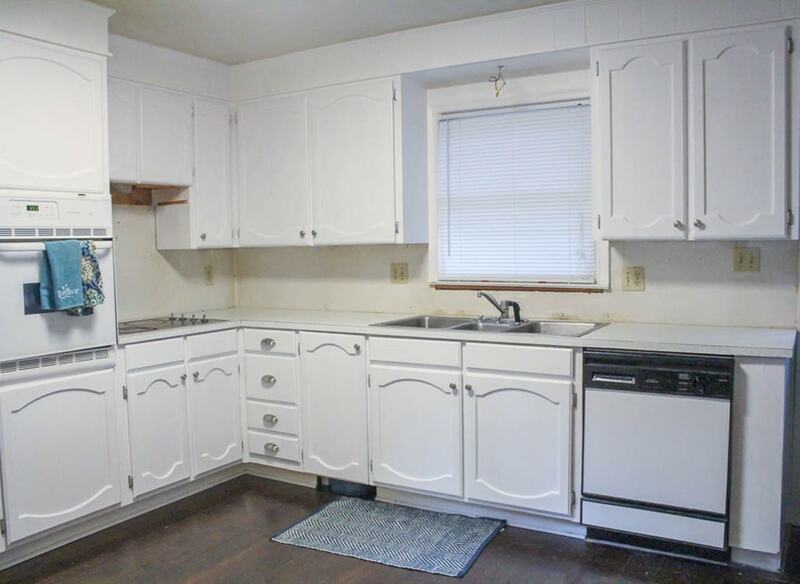 If I never tried anything new, I’d still be sitting here looking at that same oak and beige kitchen I’ve hated for the past eight years. It’s worth taking risks. Even if sometimes you totally fall on your face. I’d rather fall on my face than be too scared to ever try. And there are just so many things I would have missed out on if I never tried something a little risky. My painted floor. My repurposed bathroom vanity. Even our newly blue fireplace. The times you succeed make all the screw-ups completely worth it. I think I’m ready to dust myself off and move on to the next risk: replacing our old cooktop with the new one I scored on Craigslist. Because of course the new one is slightly longer and thinner than the old one – just enough to make the whole thing a challenge. I feel pretty confident about this one though. And if for some reason, it doesn’t work out, there’s always a way to fix it. Have you got any DIY failures to share? I’d love to hear them. And if you can’t think of a single one, well, maybe it’s time to take some risks! Thank you so much Tammy. I think you may be right – we have some weird electricity issues in this house! I may give it another try some time – but not quite yet. And I definitely need to find a non-condescending electrician. That should be a requirement for all professionals! “Non-condescending” should be a requirement for all humans, period. Ah thank you Cassie! That’s what I’m hoping to do! But I may take a break from electricity for awhile. Thanks for keeping it real and reminding us to step outside of the box, Carrie! Norm says “Measure twice, cut once.”. Great advice. We follow it. But we’ve had more than one instance where, despite the thing being measured three and four times by myself AND the hub’s, it STILL came out wrong, lol! But nothing ventured, nothing gained. We have DIYed for a lot of years. Some things we’ve become pretty competent at but we’re always facing things we’ve never done before as well. We make mistakes every so often and then we’ve gotta try and fix our screw ups. Actually, some of our “fixes” turned out to be better than the thing we were trying to do to begin with! And, hopefully, if you have to call in a professional it can be fixed without costing an arm and a leg! Yes, exactly! Nothing ventured, nothing gained – sometimes, you just have to go for it. And you are so right – sometimes the fix is even better than the original plan. You just never know unless you keep moving forward!